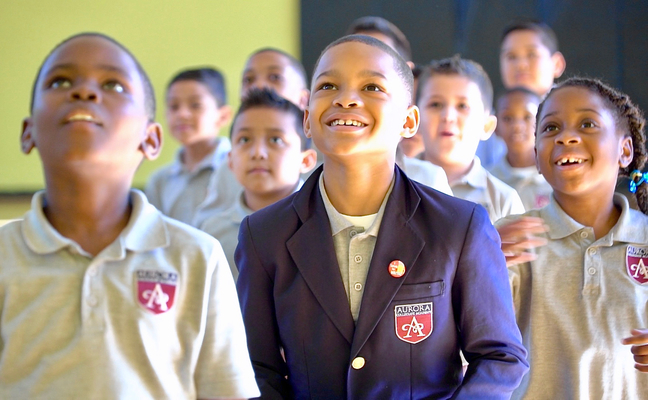 Aurora Collegiate Academy is a public charter school in Highland Heights serving students in grades K-5 from greater Memphis community. We believe it is every child’s fundamental right to be provided with a tuition-free, academically rigorous public education regardless of race or socioeconomic status. We hope you will consider giving today to support our scholars. Your tax-deductible donation will go directly towards buying classroom supplies to help our scholars down the path toward college and beyond. Thank you for your generous support - without your help, our work would not be possible. By clicking the above button you agree to have your debit or credit card or bank account charged by Aurora Collegiate Academy . By clicking the above button you agree to submit offline payment to Aurora Collegiate Academy . Call 901-249-4615 or email [email protected]. 3804 Given Ave., Memphis, TN 38122 US.